Abraham is the Father of the Jews; perhaps grandfather might be more appropriate. Abraham’s first son, Ishmael, from Hagar, would father the Arab people. Abraham’s second son, Isaac, from Sarai, would father the Jewish people. As one can plainly see, little genetic difference exists between Arabs and early Jews. Only culture would separate the two people, not ethnicity. As I tell my geography students, I can modify my culture, but I will always be a white guy. Some countries, like Brazil, pay little attention to ethnicity, however. Sarai (Sarah) would demand Abraham cast Hagar and Ishmael into the wilderness. One can imagine the physical environment; hot, arid, and without a support system in place, surely any exile would be death sentence. Hagar and Ishmael would survive, however, and Ishmael’s progeny would come to populate the realm we today call the “Middle East” and also be the progenitor of the Arab people. From Isaac (2067 BCE) would come Jacob (2007 BCE), Joseph (1675 BCE), and eventually, Moses (1525 BCE). Also, recall Jacob loses his name in a wrestling match with El (God), and wins a new a name, “Israel.” One of my pet peeves is the misspelling of “Israel.” Many people write “I-s-r-e-a-l” without realizing the importance of not interchanging the “e” and “a.” The first four letters, “Isra-,” translate roughly as, “who struggles (or wrestles).” The remaining two letters, “-el,” is Hebrew for God. Thus, “Israel” means “who struggles with God.” Jacob/Israel would then become the father of the 12 Tribes of Israel. From Israel, Joseph would be born and adorned with a multi-color dreamcoat. Joseph would eventually become the grandfather of Moses and Amos. Now, the Sinai Peninsula become important. Despite 15+ years of teaching I continue to be amazed by people who self-identify as “Christian” yet cannot find Israel on a map. If I continue the questioning about other places, Nazereth, Bethelem, Damascus, Sea of Galilea, Mountain of Olives, etc., the results do not get much better. Of course, I generalize. On occasion, a student attends who does have pretty good knowledge of the geography of the Holy Land. These students do not appear very often, which, again, I find odd considering I teach in the Bible Belt, judiciaries across the South try to post the 10 Commandments in courthouses, people conflate Creationism and Intelligent Design as science, and one can visit the Creation museum where animatronic people ride animatronic dinosaurs. The geography of the Holy Land is fascinating. Even if one is agnostic or atheist, geography of the realm influences geopolitics. I don’t get to spend much time covering Holy Land geography in my survey course, but I hope to impress upon students how amazingly captivating the entire Levant / Middle East region is. I am not a religious person, yet I recognize the value of the Holy Land in human culture. Moses was a geography. He didn’t have a map, but then he didn’t need one. He didn’t have a Trimble, but I imagine he wished he had one. He didn’t have Google Earth, but I bet he wished he had the Internet to find water, or to find suitable accommodations for the Hebrews, maybe using Hotwire. Today, we cannot say precisely where Moses received the 10 Commandments. There is a place we can visit and imagine he walked down from the rugged landscape to share the wisdom etched upon rock tablets. 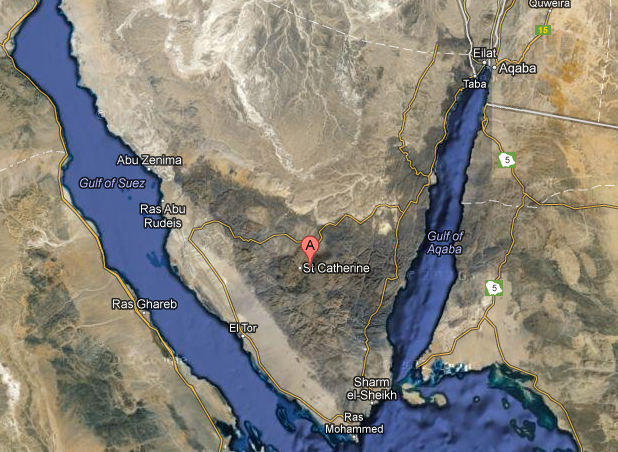 The village of St. Catherine’s is found near one place, Jabal Katrina, on the Sinai Peninsula. Here, the monastery of St. Catherine’s is located, named for a woman who had adopted Christianity, and was beheaded by Roman Emperor Maxentius in the 4th century CE because she refused to marry him. Jabal Musa is nearby. 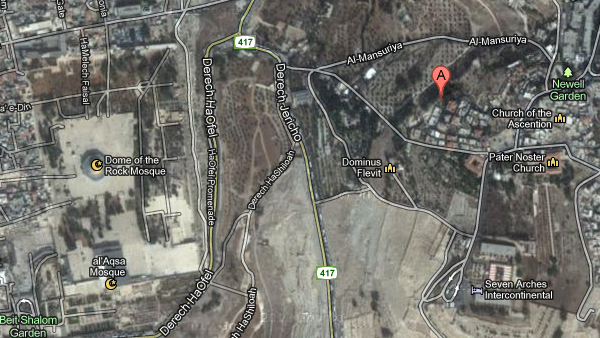 Jabal Musa is a location set forth as the site for the Moses’ receipt of the Ten Commandments, otherwise known as Mt. Sinai. Somewhere, in this neck of wilderness, Moses collected the 10 Commandments. Twice. Many archaeological sites exist throughout the Sinai. Not surprising, access to the region for archaeological purposes is strictly controlled. Those who have managed to gain Egyptian state permission for research – and some who haven’t – purport three different routes for Moses’ journey back into Israel. And, then, there are a few people who supposed the entire movement of Hebrews out of Egypt is simply a mere allegory. Of course, others suggest the Hebrew culture was never a significant regional power. Do not mistake the statement as meaning Judaism was not important. Judaism was important; two future religions would come to based upon Judaism (Christianity and Islam) but the Hebrew/Jewish culture itself would not play a significant role in regional affairs until the 20th century. The Ottoman Empire, for example, dominated the realm for 600 years, give or take, until 1922. Before the Ottomans, Greeks, Romans, the Byzantines, the Crusader Kingdoms, and Saladdin all exerted control. Jews were marginalized by most empires. In fact, even the Christian Crusaders were not kind to Jews, who were often used for “practice” before fighting Moslems [sic] during the Crusades. Three general paths have been outlined. The easiest route would have been a straight shot across the northern portion of the Sinai, maybe even following the Mediterranean coast. 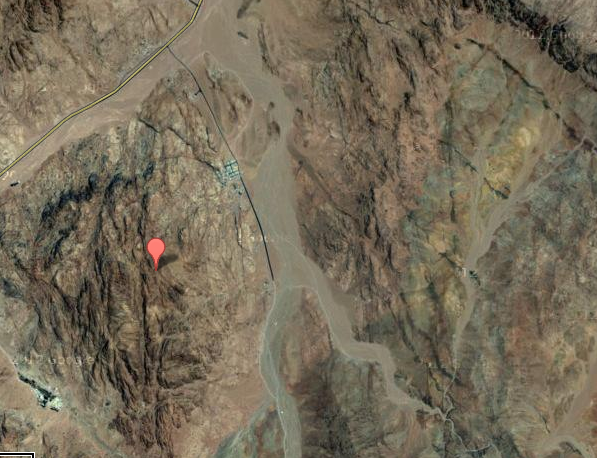 The Google Map teardrop falls upon St. Catherine’s monastery. Directly east across the valley sits Jabal Musa. Most researchers seem to prefer a south-central route, which to me seems the least likely due to the ruggedness of the terrain, lack of water, and increased distance and travel time. But, the south-central route is the route upon which St. Catherine’s lies, Jabal Katarine, and the nearby Jabal Musa (Mount Moses). The last popularized route, is a route which essentially follows a southern trajectory around the tooth-like coastline of the Sinai Peninsula. The route is obviously the longest of those routes suggested, but the route would offer a more easily traversed landscape. The Red Sea could have been an important source of fish, for food, but as the water has extremely high salinity, not a safe alternative for drinking water. My mind lives in a Star Trek-like naivete, sometimes. Traveling to Persepolis would be an experience of a lifetime. Traveling to Sinai would, again, be the experience of a lifetime. Or, Meggido. Or, eastern Turkey to visit the lands of the early Christian churches, some churches set up and paid for by renegade Roman soldiers, sympathetic to the plight of Christians. And, as I said, I’m not a religious person, but I do respect the impact religion has played in shaping human culture. I say “Star Trek-like naivete” as the shows seemed to suggest all people could travel across Earth in peace, without fear of being hassled, molested, badgered, threatened, imprisoned, or killed. And, while Bruce Feiler got away with traveling throughout the realm in 1993, he might find doing so now extremely difficult, if not impossible or even deadly, today. Every state from Syria to Egypt, with the exception of Israel, is fraught with danger in 2013. I recommend reading Bruce Feiler’s books about his travels, Abraham, Walking the Bible, and Where God Was Born. Bruce does use his journey as a way of assessing his faith, of re-establishing his connection to his Jewish roots, but his writing is secular, a travelogue of sorts. We meet many people along the way, are exposed to many anecdotes of his travels. In essence, the books will entertain with their thought-provoking accounts of the human geography of the Holy Land. ← Your Notes Are Wrong!